Apple updated iPod touch lineup earlier this month. Apple surprised everyone by not adding camera to the new iPod touch models, even though the company added video camera to lower-end iPod nano. The 8GB iPod touch model is exactly same as previous generation 8GB touch. However, the 32GB and 64GB models get updated hardware with faster processor and better 3D graphics chip. The 32GB and 64GB iPod touch models - is up to 50 percent faster than the previous generation iPod touch and they support OpenGL ES Version 2.0 for improved graphics performance. 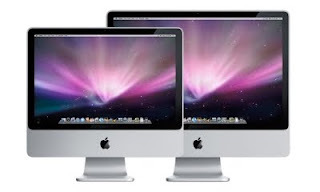 Yesterday, we reported about the upcoming iMac update and the possibility of quad core processor in the new iMacs. Now French site Mac4Ever has posted that it has received a number of tips that upcoming iMac will include SD card slot just like the 13-inch and 15-inch MacBook Pro. The website concurs with our report that iMac will feature quad-core processor, however says it will be a Xeon processor, which is very unlikely because of the thermal requirements of Xeon chip. 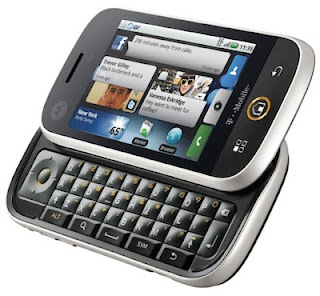 Motorola launched their first Android based phone CLIQ few weeks back. 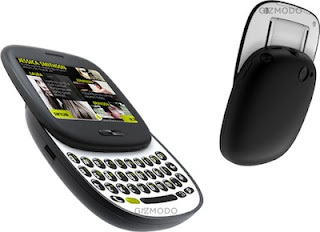 BGR got their hands on the new CLIQ and posted a preview of the phone. 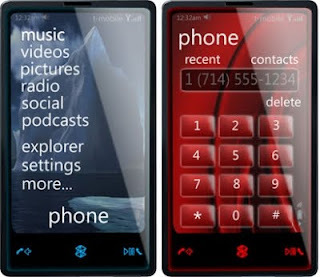 BGR has posted detailed information about the hardware, screen, OS, phone, keyboard, UI and battery. BGR wasn’t impressed by Motorola’s effort and found the phone decently solid, albeit a little cheap. Verizon has already started testing LTE based 4G network and plans a commercial launch in 2010. Talking about 4G rollout Verizon’s Chief Technical Officer Tony Melone said that the company plans to switch on 4G network in as many areas as possible at the same time, it will be “all-at-once” 4G launch. Verizon will launch 4G service in 25-30 major markets in 2010 and all of them well get the service at the same time. In another Verizon related news, The Street is reporting that Verizon is reconsidering whether to begin offering Palm Pre in January or not. Apple today added a new “Apple and the Environment” section to its website. The new environmental section will be used to give more detailed information about Apple’s environmental footprint. The section has four main parts life cycle impact, product usage impact, product environmental reports and environmental updates. Apple says that more than 53 percent of carbon emissions annually is resulted from product use, which is the biggest factor in product life cycle and should be included in environmental breakdown. AppleInsider has learned that Apple will be releasing new iMacs with thinner design and lower price tag very soon. The new iMac might also get Blu-ray drive, enhanced audio output and design similar to LED backlit Cinema Display. The website believes that an announcement could come anytime between next week and mid October. Intel started their Intel Developer Forum 2009 (IDF) on Tuesday in San Francisco. The theme of the conference is “The Continuum”. Intel describes continuum as same user experience across various devices ranging from servers to mobile handset. Intel CEO Paul Otellini said “We’re moving from personal computers to personal computing”, and combination of new technologies, platform architecture and software will allow us to build the continuum. Sony has announced that it will release new Motion Controller for PS3 in Spring 2010. Sony says the new controller, equipped with high-precision, highly accurate motion sensors, can deliver whole new entertainment experience on PS3 when combined together with the PlayStation Eye camera. 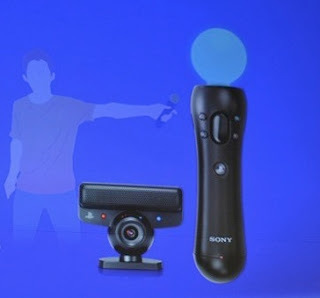 The camera will be capable of recognizing and tracking a user’s face and voice as well as body motion, PlayStation Eye can also output the player’s image onto the TV screen. It looks like Gizmodo has a direct link to Microsoft’s research department. Earlier today they revealed Microsoft’s dual touchscreen booklet called Courier. And now they have posted pictures of rumored smartphones Turtle and Pure that the company is developing under project codenamed Pink. 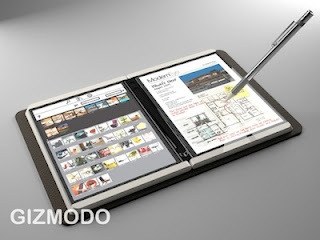 Gizmodo today revealed Microsoft’s take on tablet called Courier, which is in late prototype stage of development. 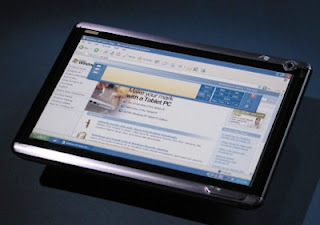 Microsoft calls the device booklet as it features dual 7-inch screens with multitouch support. The booklet is designed for writing, finger inputs and drawing with stylus. The two screens are joined by a hinge like a book and the hinge features a single home/menu button. 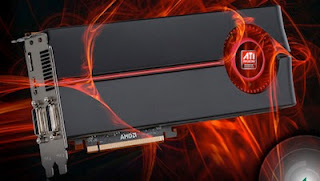 AMD today launched the next generation ATI Radeon HD 5800 series graphics cards that support Microsoft DirectX 11. AMD says that the new cards will offer more than double performance when compared to previous generation. The cards are made using 40nm process technology and feature 1,600 stream cores capable of 2.72 teraflops per second performance. The HD 5800 series also uses third generation GDDR5 memory for up to 150Gbps memory bandwidth. Samsung today showcased many new technologies designed to increase performance while decreasing power consumption in smartphones and high-end multimedia devices at Samsung Mobile Solutions Forum in Taipei, Taiwan. 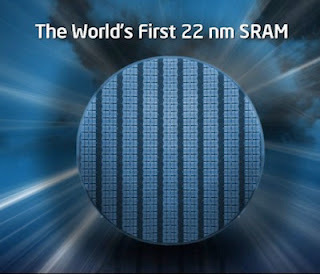 The company introduced two new ARM Cortex A8 processors, 5-megapixel camera and touchscreens with Embedded DDI technology. Research In Motion (RIM) is working with Unity4Life on a solution that transforms your BlackBerry phone into a universal remote control. The two companies have developed a $99 device that converts the Bluetooth signal of BlackBerry into an infrared beam that TVs and other electronic components can interpret. 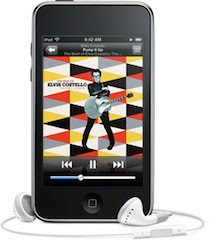 Apple updated its iPod nano earlier this month by adding video camera, FM radio, pedometer, mic and speaker. 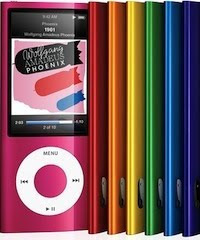 The company has sold over 100 million iPod nanos in past four years making it one of the most successful electronic device ever. The new iPod nano has a larger 2.2-inch screen and gorgeous polished aluminum and glass enclosure. Even though, Microsoft has repeatedly denied that they are developing their own smartphone hardware. 9to5mac is reporting that Microsoft will unleash two new smartphones at CES in January 2010. The new smartphones are being developed under the project codenamed “Pink” with the help from Danger team acquired by Microsoft.